My Goddaughter was turning 3, it was our 10 year anniversary, and we hadn't traveled (other than moving) for nearly a year. So naturally Hubby and I decided to go out to California for a week. It was fun. We had a birthday party, wine tasting in Napa, scuba diving in Monterrey bay, 4th of July parades and many nights catching up with old friends and exploring a new city. Now I know that air travel consumes a large amount of resources, but I love to travel and often times flying is the most practical way to go. Unfortunately air travel is also notorious for being wasteful from not allowing you to bring liquids through security, serving food on disposable place settings and giving out trinkets that often go unused. 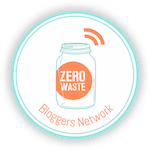 However, I've put together this list of ideas to help you minimize your waste while traveling so you can just worry about how much fun you'll have. Go mobile. Most major airlines, and I would dare say all airlines anymore, have mobile boarding passes. However I rarely saw people using them. How it works is you go to either the airline's app on your phone or onto their website and log in. Once there you confirm your information and you will get a QR code. This code is then scanned both while going through security and at the gate getting onto the airplane rather than having a paper ticket. Some tips from my experience: Make sure you have the correct barcode. When checking in for the flight I was emailed a boarding pass, however it linked to a pdf that was not the mobile boarding pass. I only noticed it when I was in line for security and had to scramble to get the correct barcode. Next, make sure your brightness is turned up fully. Both hubby and I had issues with barcodes on our phones scanning because the brightness wasn't up. Finally even though my screen was cracked I was still able to use mobile boarding, so give it a chance. Worse case scenario you will have to get a boarding pass printed, but then remember to recycle it after you are done. Bring your own water bottle. Remember your bottle will need to be empty as you go through security. Some airports have special places for you to put the water, but most of them make you either drink it fast or go dump it in a restroom, so be sure to plan ahead! However on the other side of security there will likely be plenty of drinking fountains to refill your water bottle up. Bringing your own drinks allows you to refuse the cups on the plane. Information from a water station found at the San Francisco Airport. 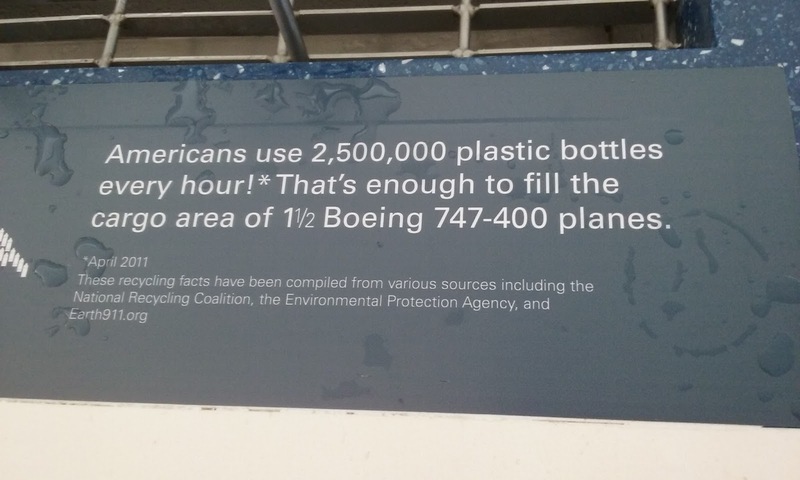 Always bring your own water bottle to prevent being a part of this scary statistic! 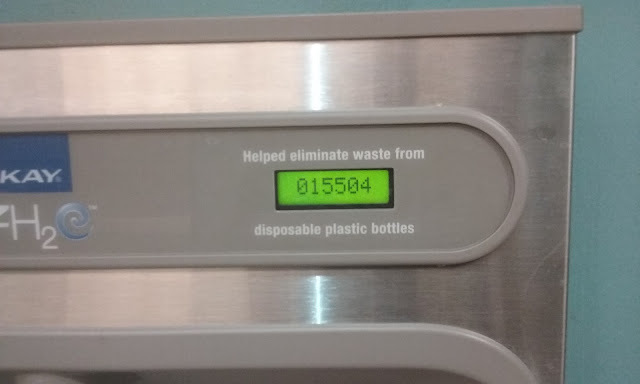 Counter on the water bottle filling station in Pensacola, Florida. Doing our part to help eliminate plastic bottles! While airlines generally have limited food service, most still offer some sort of snack such as pretzels or crackers. I'm pretty sure that the packaging on the pretzels, crackers or nuts just gets thrown away, so refuse them. Bring your own tasty treats from home or you might be able to buy some from the bulk store at the airport. Yes there is bulk food in the airport! I was surprised to see it. However, be cautioned that I saw this same chain in the Charlotte airport and it was a typically packaged store, so your mileage may vary. 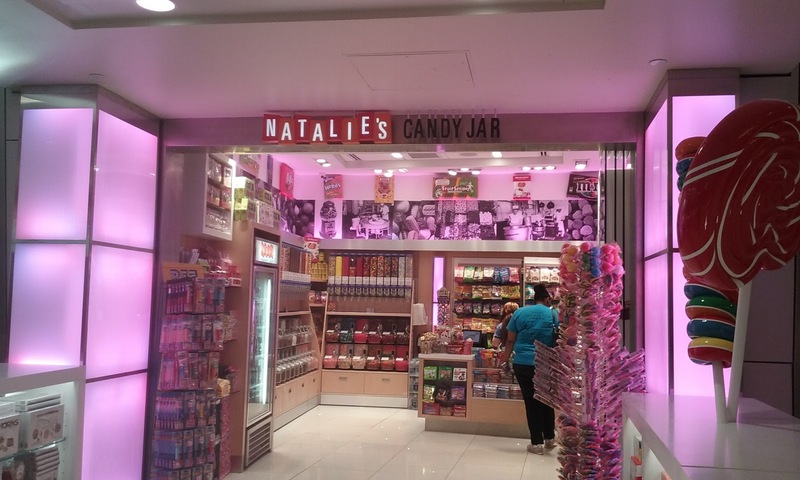 Natalie's Candy Jar in SFO has candy in bulk! Unfortunately their store in Charlotte has more conventional packaging. But it is possible to find bulk food even in the airport. We were fortunate to fly through the San Francisco Airport and SFO has one of the best airports for sustainability. They only offer compostable items in their food areas. So if you aren't flying through there you may have to be a little more selective about your food choices. Perhaps eat at more sit down restaurants that will provide you with real dishes rather than fast food that will give you items that need to be thrown away. 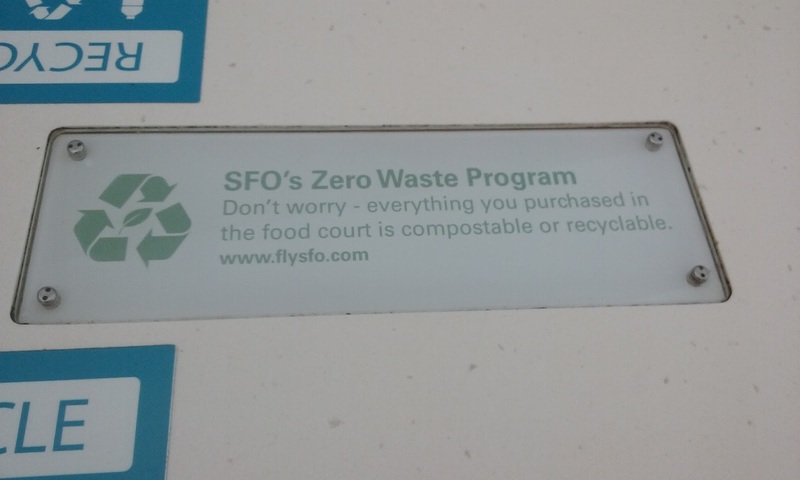 I was so excited to see that everything you purchase in the SFO food court is recyclable or compostable! 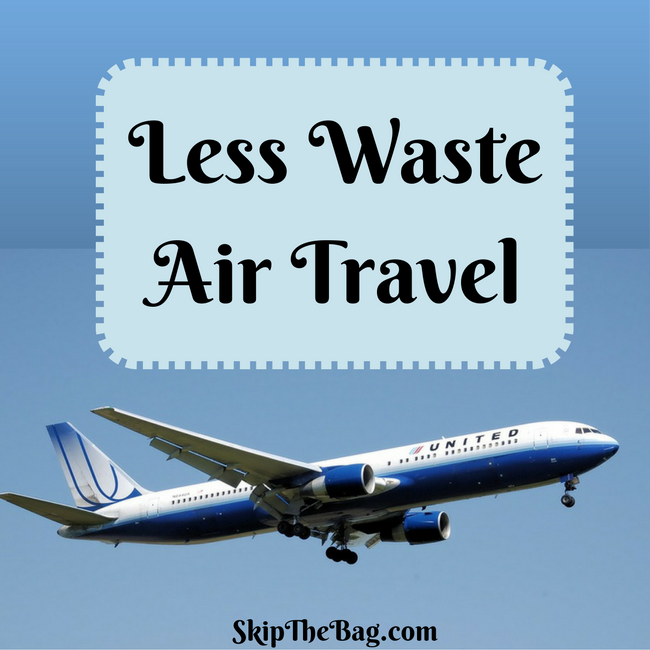 Hopefully this helped give you some ideas on how to limit your waste while traveling. Do you have any other tips? Affiliate links, see privacy and disclosure. Good tip that I didn't think about. I've been pretty lucky, but I've had a few leaks too! Thanks for the post! I just recently flew to get to my open house. I was so nervous about my knife from my kit being taken (it's a travel utensil kit and the knife is round) but I just left it home because I was too nervous haha. Personally I also still print my boarding pass in case there is an issue, but if I move there and flying becomes more regular I will probably give it a go to reduce my paper waste. 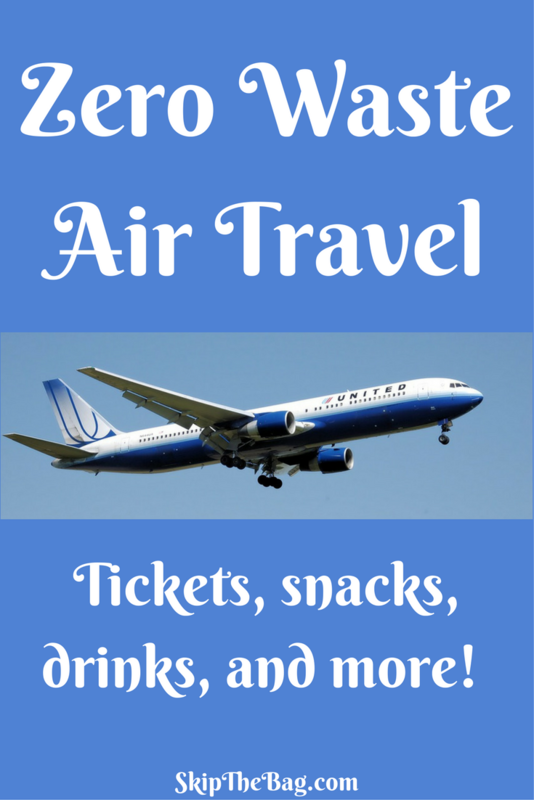 Another tip is that you can buy your carbon offset fee for your flight with TerraPass. I didn't because I'm broke enough and my flight was covered by the grad school, but it's a cool option in the future to look into. I flew out of DFW a week ago Sunday. I always take my water bottle and fill it at the first restaurant. I also take my own snacks. Was prepared to go electronic with the ticket. Their system crashed and they had to print a boarding pass. As I sat there waiting to board the trash guys came up. Took the bag of bottles from the recycling bin and dumped them in with the other trash and put all in the cart and drove off. Maddening!! That's crazy! I don't know why people would do that. :( The only reason I could see would be if they knew the recyclables weren't recyclable, but that is a rare case!